Men, as a general rule, aren't exactly thrilled to eat green lunches. 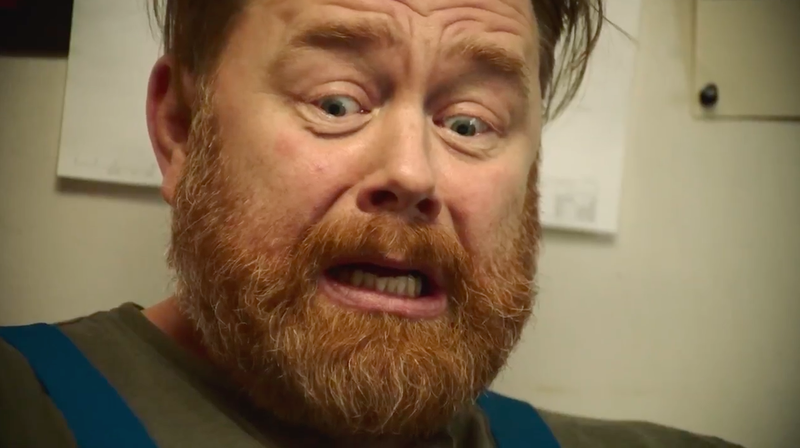 Denmark's most popular brand of liver pâté, Stryhns, runs with that stereotype in this amusing ad—in which male workers sit down to eat lunches evident packed by their spouses, and soon freak out completely when they see the grub. Liver pâté to the rescue! The ad was made by agency Anew and production company M2Film, which is perhaps best known for making the most epic ad ever for public-transport buses. AdFreak spoke with M2Film producer Jan P. about the Stryhns work. "From the beginning of the project, we were aware that it would be essential that the the audience felt that the alarm sound for each character was credible for their personality," he says. "The sound should feel like their voice, and it should match each person perfectly. Because of that, we decided to do a lot of postproduction before we went into shooting." He added: "We found the sounds, being aware that on the one hand they shouldn't be too annoying, and on the other hand they should be funny and add to the person's character. Having chosen the sounds, we were able to provide the casting agency with each character's 'voice,' making the casting process a lot smoother." On set, each actor had an earpiece, so he could hear the sound and be in sync with it. "That's the reason why the sound effect feels so accurate and real, adding some magic to the result," Jan P. says.